During the second half of the 1990s, three separate monographs on copper, zinc and major alloying metals in stainless steel (chromium, nickel and molybdenum) in society and in the environment were compiled (by MFG) and published in Sweden. The monograph on zinc came in its first edition, in Swedish, in 1996 and was based on information (scientific papers and other reports) produced up to and including 1995. A translation into English was published in 1998 (Landner and Lindestrom, "Zinc in Society and in the Environment" (1998); - in short: L & L - Zn). The book on copper in its first edition, in Swedish, covered research and other information up to 1997. The second edition of the copper book, published in 1999 (Landner and Lindestrom, "Copper in Society and in the Environment" (1999); - in short: L & L - Cu), was partly revised and included some new information also from 1998. 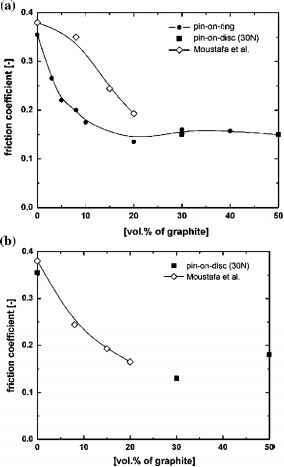 The third monograph (Walterson, "Chromium, Nickel and Molybdenum in Society and in the Environment" (1999); - in short: EW -Cr,Ni,Mo), presenting information on the three major alloy metals in stainless steel, also covered the time period up to the beginning of 1998. These three previous monographs are referred to in the following text by using the above indicated short forms. During the five to seven years after these books were published, very intensive research has been conducted in many countries (notably Canada, the USA and Europe, incl. Scandinavia) on various aspects of metal behaviour and effects in the environment. Much of this research has been focused on the question of speciation in water, sediments and soil of trace metals, occurring as divalent cations under normal environmental conditions, such as cadmium, copper, lead, nickel and zinc. At the same time, representatives of political parties and mass media, of local, regional, national and international administrations, as well as members of NGOs, private companies and associations have - to an increasing extent - directed their interest to questions related to impacts of metals on the environment and on human health. This increasing demand, by various debaters and decision-makers, for information and knowledge on the properties and behaviour of metals in society and in the environment has prompted, first, the realisation of a number of applied research projects designed to examine several new aspects of metal biogeochemistry and to provide answers to specific questions asked by these actors. Among such questions were the request for more detailed accounts of fluxes of trace metals from society to the environment as well as improved measurements of fluxes and pools of metals in various environmental compartments. Secondly, this research driven by the needs of political and administrative actors has produced results that have sometimes been given contradictory interpretations and, therefore, there is a growing need for critical evaluation of the new results, based on scientifically sound criteria, and for a compilation of the relevant information in a transparent and holistic form. Prominent examples of fields of research on metals in the aquatic environment that have attracted considerable interest over the past five to ten years are (i) development of methods for prediction and assessment of trace metal toxicity in aquatic sediments; (ii) definition of sediment quality guidelines for trace metals in oxidised as well as anoxic fresh-water and marine sediments; (iii) assessment of degree of metal contamination (enhancement of trace metal concentrations, relative to natural background concentrations) in matrices such as sediments and soils; (iv) determination of the bioavailable fraction of metal, dissolved in the water, and development of "Biotic Ligand Models"(BLMs); (v) description of how trace metals in the aquatic environment are distributed between suspended particles, colloidal material and aqueous solution and of the factors governing their redistribution between phases; (vi) determination of the role of biotic components in the interaction with environmental trace metals (adaptation, acquired tolerance, antagonistic effects). Research on the behaviour and effects of trace metals in soils has also resulted in a considerable number of scientific papers over the past five to ten years. Some of this information was presented in the International Copper Association (ICA) volume on "Copper in Sewage Sludge and Soil", published in 2000 (Landner et al., 2000), but several additional long-term field studies of the uptake and effects of trace metals in crops have been reported more recently.